Affordable and spacious 3 bed, 2 bath condo with a lovely river view! South facing so it allows for full-year sun exposure. 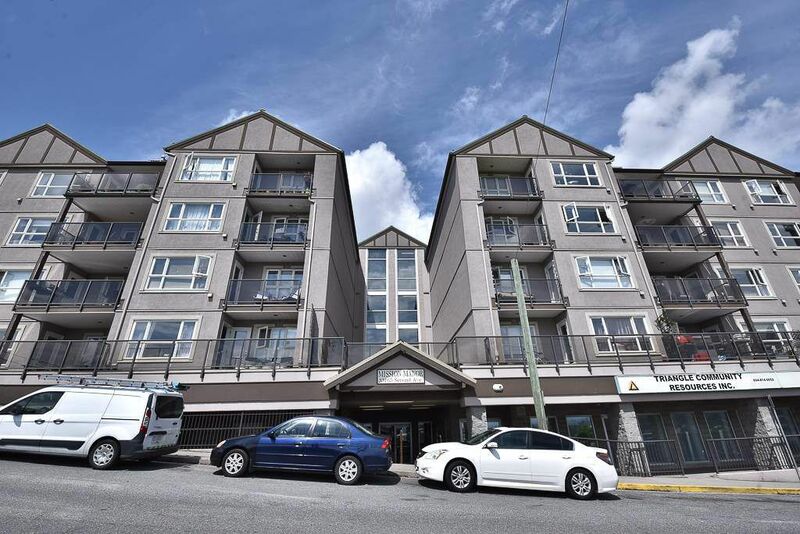 Offering a cozy gas fireplace, in-suite laundry and large living area in a well maintained building. It is one of Mission's most walkable locations. Only blocks away from public transportation (including West Coast Express) and amenities such as banks, grocery stores, recreation facility and shops. Rentals allowed and pets allowed with restrictions -- great for investors, down-sizers or first time home buyers. The unit has been updated including new hot water tank, fixtures/tubs surroundings, appliances, laminate flooring, blinds and freshly painted. Call today for a private viewing! Open Sat/Sun 2-4pm.